In the 1970s, the cost to make a call on a pay phone was a dime. My dad always told me to be sure to have one on me in case I needed to call him to come pick me up from somewhere. The phrase drop a dime on meant to betray or inform on a cohort. This came from criminal/underworld usage when they would accuse someone of calling the police to rat them out. 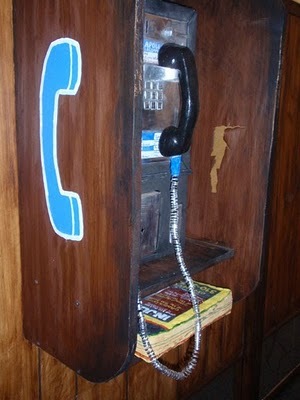 The pay phone had a slot where the dime would be dropped to make the call. The usage of this phrase began in the 1960s and still carries over today. I bet ya that a lot of younger folks who only knew pay phones as quarter-eaters have no idea of the origin of this phrase. Imagine in five more years how many won’t even know what a pay phone even is other than their plan payment for their cell service. My dad always insisted I have a dime for the same reason. Remember the penny loafers. I would keep dimes in them. Good topic for a trip down memory lane. Dad’s are super-dooper, aren’t they? Great idea to put the dimes in the loafers. I had some of those, too but never thought that far ahead. LOL! Memory lane indeed. Miss those days sometimes. Almost all the pay phones are gone here now. There’s one left in the state courthouse and none in the federal ones. Sad to see them go. I never was one to check for change, but my sister did.